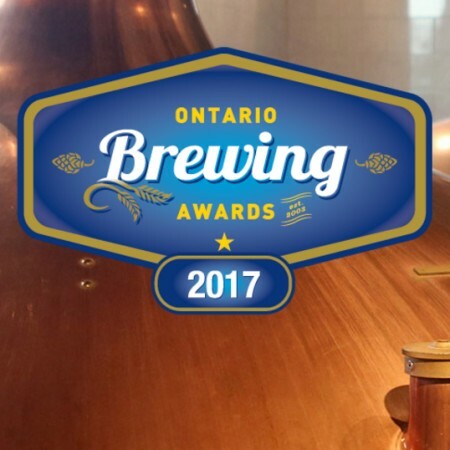 TORONTO, ON – The winners of the 2017 Ontario Brewing Awards (OBAs) were announced earlier this evening during an event attended by beer industry professionals and media at The Great Hall in Toronto. The winners were chosen from a pool of 681 beers submitted by 125 breweries from across the province, with BJCP-certified judges awarding Gold, Silver and Bronze winners in 48 categories based on blind tastings. The evening also featured an announcement that ownership of the OBAs has been taken over by TAPS Media – owners of the Canadian Brewing Awards – starting with next year’s edition. Gold: Junction Craft Brewing – Hey, PORTER! Gold: Redline Brewhouse – Sprung! Bronze: Junction Craft Brewery – Hey, PORTER!